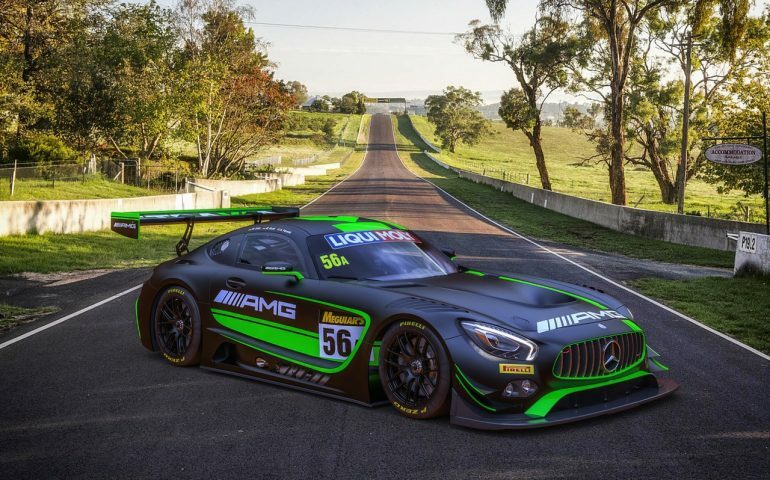 Strakka Racing has confirmed its second line-up for the Liqui-Moly Bathurst 12 hour, securing proven talent from Mercedes-AMG factory drivers Maximillian Buhk and Maximillian Götz, alongside highly rated 2017 Strakka Racing driver Alvaro Parente. While Götz will make his Bathurst debut, Parente won the 2016 race with McLaren while Buhk was runner-up in the tense 2014 finish when driving a Mercedes-Benz SLS AMG GT3 with HTP Motorsport. The drivers will partner Cameron Waters, Nick Leventis, Lewis Williamson and David Fumanelli who will compete in the sister car. The Silverstone-based team will debut its brand new Mercedes-AMG GT3s at Mount Panorama for the Bathurst 12hr race. “I am excited for another challenge this year and I’m happy to be back with Strakka debuting in their new Mercedes-AMG GT3,” says Parente. Strakka have tested the first of its AMG GT3 chassis, completing over 130 laps in both wet and dry conditions at Barcelona and Silverstone. “We have been doing a lot of preparation with the drivers in the simulator over recent weeks to ensure that we are one step ahead”, says racing director Jay Davenport. The team will be putting their core values to the test to overcome the notoriously difficult circuit in their hope to claim victory. “Having just missed out on the win in 2014, I’m delighted to be heading back to Bathurst to give it another go to try and make it to the top step of the podium,” says Buhk. While Buhk has Bathurst experience and his co-driver does not, the pair have raced together before; winning the 2013 Spa 24 Hour and contesting the 2014 Blancpain Sprint series; won by Gӧtz. “I am excited to race at Bathurst for the first time in February with Strakka,” Gӧtz said.